Safety instructions. 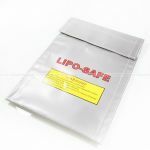 Read before using LiPo batteries. Motor bearings, Thrust bearings, Bushings, Prop shaft washers. Screws, glues, wire, connectors, brass tubing & tape. Water inlets/outlets, pickups, tubing, clamps, auto-bailers. Replacement hatches and cowls for hulls. 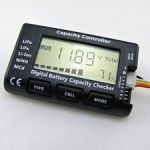 Esc Programmer's, Bec Units, LVC Units, Capacitors, Water cooling and More. Prop Shafts, Flex cables, teflon liners, drive dogs, nuts. Motor water cooling jackets for electric motors. Adapter sleeves to use larger props on smaller shafts. Antenna, Servo & Switch Mounts, Linkage, Y harness's, Extension wires, RX Battery Packs. Rudder and strut systems for Rc boating applications. Brass Stuffing tubes, Mounts, STS stuffing tube seals.